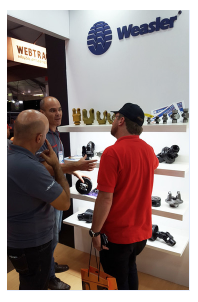 Weasler's PTO Drive Shafts on Display at Brazil's 2018 Agrishow - Weasler Engineering, Inc.Weasler Engineering, Inc.
Weasler Engineering joined other businesses from the Engineered Solutions segment of Actuant at Agrishow 2018, which was held earlier this month at Ribeirão Preto, Sao Paulo, Brazil. 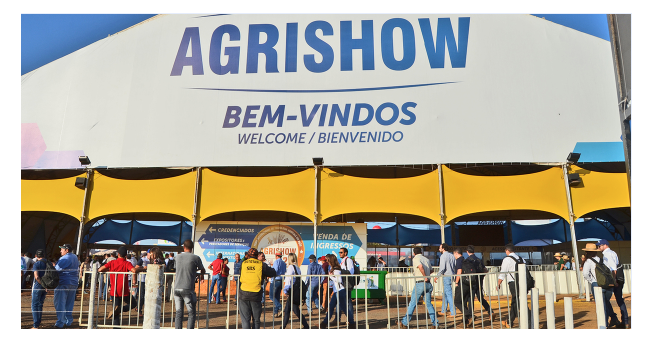 Now in its 25th year, Agrishow is the most important agricultural technology fair in Latin America. The event is the most anticipated of the year for the launch of the latest technological innovations for agribusiness in Latin America. Each year, Agrishow welcomes close to 160,000 visitors and showcases over 800 brands. 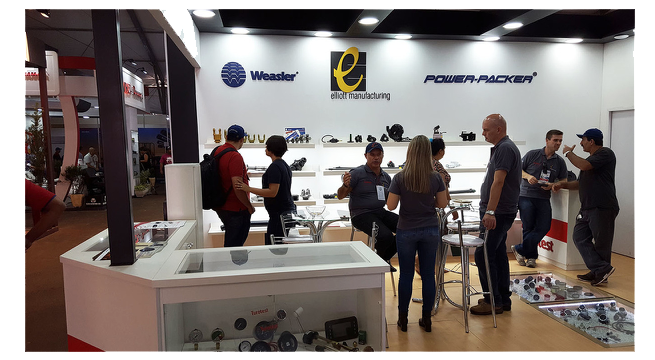 Weasler joined three other Actuant businesses — Turotest, Elliott Manufacturing and Power-Packer — to share innovative engineered solutions for South America’s extensive agricultural market. Combined, the four Actuant business groups showcased a wide array of products that help improve the safety, efficiency and reliability of agricultural products used around the world. High speed drive shafts (up to 3,600 rpm), a variety of torque limiters, high-end custom and specialty gearboxes and torsional dampers help round out the product line. Brazil’s large geographical terrain and temperate climate allow for tropic crops in the north, as well as crops that require cooler conditions in the middle and southern parts of the country. Today, Brazil is a major producer of grains. The country has the world’s second-largest harvest of soybeans each year and is a major producer and exporter of cotton, corn, rice, and wheat. Brazil’s many ports, from the north to the south, allow for its vast raw materials exports to travel around the world. Experts predict that Brazil’s corn production could soon match the U.S. in much the same way the country’s soybean and beef industries have mirrored the States. Brazil’s corn exports are now roughly 1.5 billion bushels compared to 2 billion bushels projected for the U.S. on the 2017-18 crop. Brazilian agricultural exports have grown from $20.6 billion in 2000 to $96 billion in 2017. That compares with $140.5 billion for the U.S. last year. Soybeans account for about one-third of Brazil’s ag exports, followed by meat at 16% with sugar and ethanol at 12%, and coffee at 5.5%. Let Weasler engineers help you match a system for your specific agricultural application. Email oemsales@weasler.com now.